Being the first DirectX 12 exclusive title and the first Windows 10 Store Exclusive game one would expect Microsoft to be putting a lot of effort into the PC version of this game, but sadly the game is suffering from a rather rough launch, having issues downloading for many Windows 10 users, having both performance and stability issues on AMD GPUs and being incompatible with Nvidia's G-Sync variable refresh rate technology. 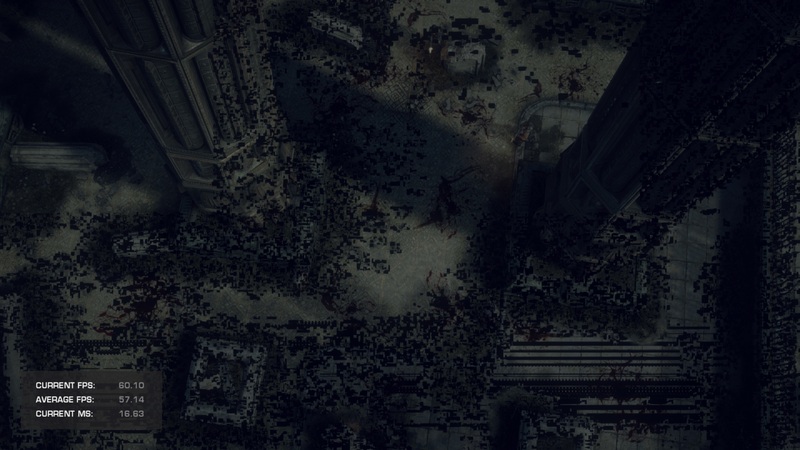 Below is a list of known issues that has been published The Coalition, the developers of the game, describing several of the issues with the title and some potential fixes. We are receiving reports of some users experiencing download errors after purchasing the game on the Windows Store. Gears of War: Ultimate Edition requires players to update to the latest version of Windows 10 (64-bit version 1511 or later) to successfully install the game. Updating to the latest version should resolve a majority of issues. Customers need to be running Windows 10 with the November update before downloading Gears of War: Ultimate Edition from the Windows Store. For more information on updating to the November build, please visit the Windows 10 November Update FAQ. After purchasing the game from the Windows Store, users may experience downloads not progressing and the progress bar may be slow to move. The game is downloading at the standard rate and will be completed shortly. Pausing and resuming your download may also incorrectly display the wrong progress values during your download. Do NOT restart your download as this will only delay the process. UPDATE: Please make sure to update to the latest Windows Update available as of 3/1 at 10am PT. This will remedy the download bar issues in the Windows Store. AMD is an important partner bringing the promise of DirectX 12 to life for gamers everywhere. We are working closely with them to address a few issues encountered in Gears of War: Ultimate Edition for Windows 10 on AMD cards using GCN 1.1/GCN 1.2, and expect they will be addressed quickly in an upcoming update. We highly recommend those on GCN 1.1/1.2 cards to play on 1920x1080 resolutions or lower until the update. Please visit AMD support pages for the latest on AMD drivers and software. "Your graphics hardware is not optimized for this game. You may experience degraded visual quality. Please visit https://gearsofwar.com/ for more information"
You will need to select your laptop’s High-Performance NVIDIA processor prior to playing Gears of War: Ultimate Edition for Windows 10 to resolve this issue. G-Sync is not supported by Gears of War: Ultimate Edition for Windows 10. Running the Game with G-Sync™ enabled will cause significant performance issues. If you are using a G-Sync™ enabled monitor, you should disable it from the NVIDIA Control Panel. Alternatively, you can set Lock Framerate to OFF in the Video settings. The issue is being investigated together with our partners at NVIDIA and a driver update will be available in the future to address this. Please visit NVIDIA support pages for the latest on NVIDIA drivers and software. There are visual issues with AMD graphics cards and the Ambient Occlusion setting, it is strongly recommended to turn this setting OFF. We are readying a fix to be deployed in the coming days. Below is a Screenshot that we have taken when using Ambiant Occlusion on an AMD GPU. Sometimes this issue does not occur, but it still occurs.